Should I file for Bankruptcy with a Reverse Mortgage? Taking out a reverse mortgage can help you resolve financial issues if you are at least 62 years old and have equity in your house. Another option is to file for bankruptcy to help your financial situation. Both options are viable but some think taking it one more step and filing for bankruptcy with a reverse mortgage can be beneficial. In reality, using both together might end up causing a problem. 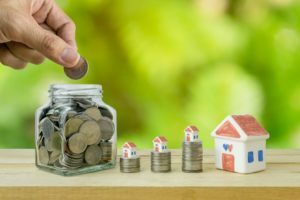 For starters, many people use a reverse mortgage as a way to tap into their home equity without actually putting their home on the market. This is also used as a way to manage house payments. A reverse mortgage can be received in a lump sum or a monthly income, can help eliminate your monthly mortgage payment or give you acted to a line of credit. These aspects of a reverse mortgage all draw on the equity in your house. Filing for bankruptcy with a reverse mortgage can end up putting that equity in jeopardy. Generally, in order to qualify for a reverse mortgage, you must have equity equal to at least half the value of the property. Unfortunately, most states do not allow substantial amounts of equity to be protected or exempt in bankruptcy. This means you will have to pay for your nonexempt equity in a Chapter 13 bankruptcy filing or you will lose it in a Chapter 7 bankruptcy. In the instance that you took your equity in a lump sum and decided to keep the money in a deposit account, it will not be protected when filing for bankruptcy. The only way to protect it would be to do so under another exemption, which will most likely be difficult to find. Another problem that could arise from filing for bankruptcy with a reverse mortgage is the simple fact some reverse mortgage contracts consider filing for bankruptcy a breach of contract, which could trigger foreclosure. The lender will have to file a motion with the bankruptcy court for permission in order to start foreclosure proceedings. One last downside to utilizing a reverse mortgage and bankruptcy at the same time is that many lenders will stop making payments to you (for those receiving monthly payments) or block your access to your line of credit. This is because you are taking on more debt with each payment. The good news is that those payment will normally resume once the bankruptcy case closes. When it comes down to it, filing for bankruptcy with a reverse mortgage may not be as viable an option as people think. Still, if you are considering this as an option, you should definitely contact an experienced bankruptcy attorney like Joel R. Spivack, Esq., in New Jersey. His proven track record of getting client’s finances in order and helping with debt relief is something you can trust. Call 856-488-1200 today to set up a free consultation.